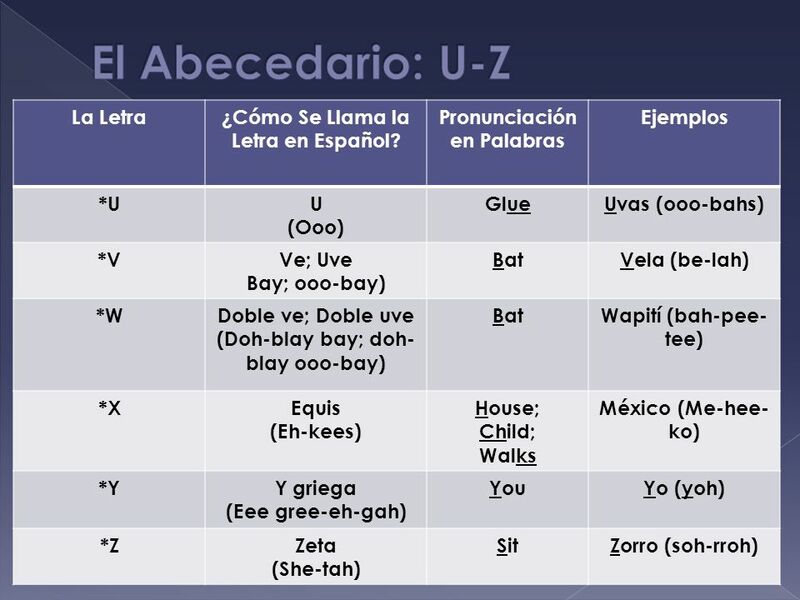 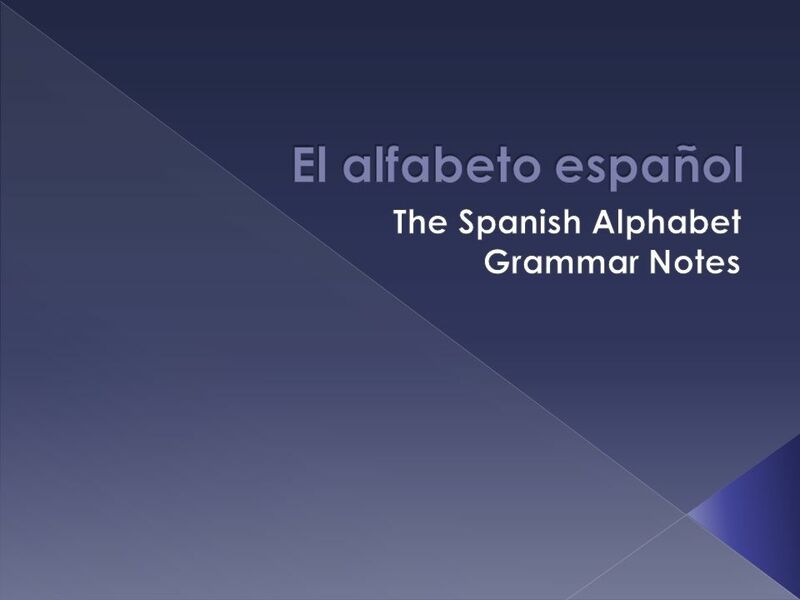 Download ppt "The Spanish Alphabet Grammar Notes"
Alfabeto. 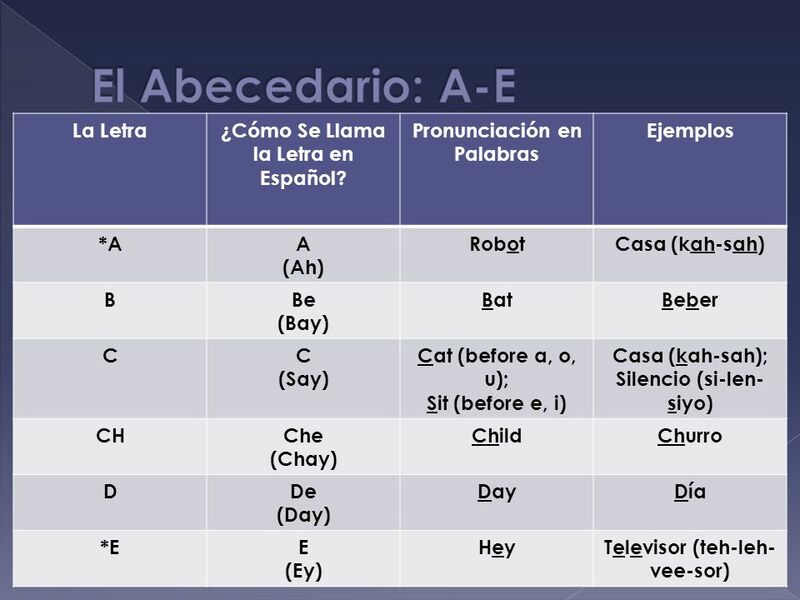 Aa(ah) Bbe Cce Chche Dde ee(eh) Fefe. 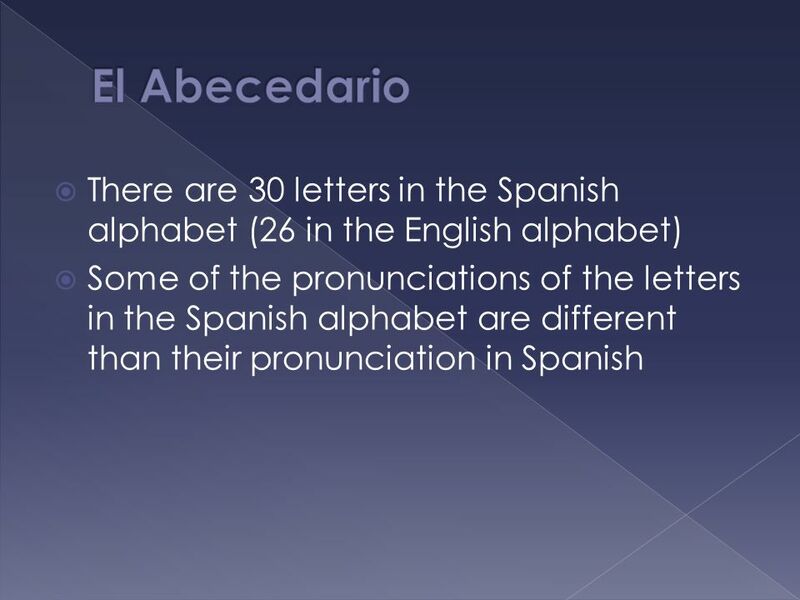 Phonics are the letter sounds! 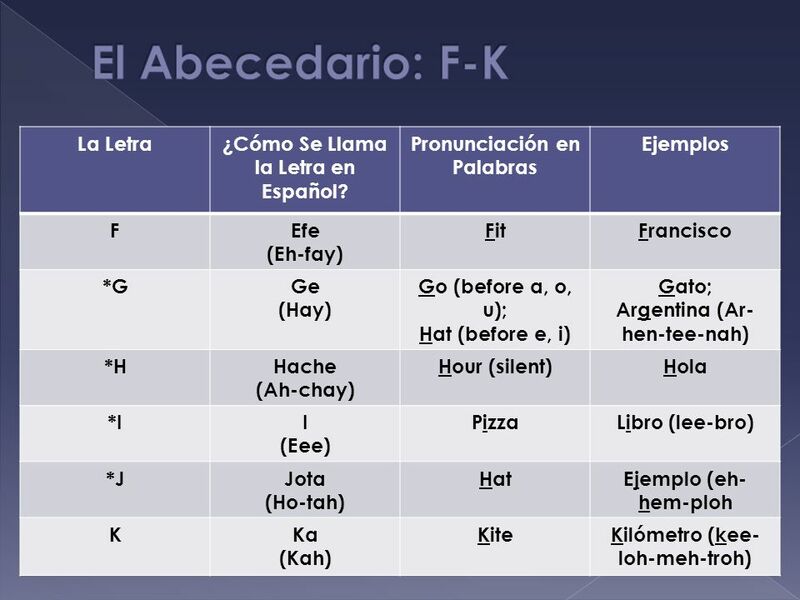 El alfabeto español The Spanish Alphabet. 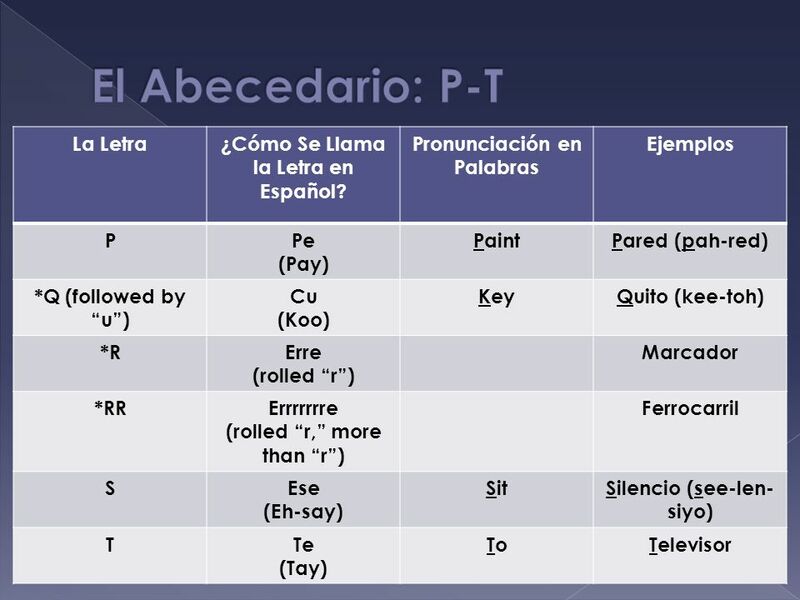 OBJECTIVO: SWBAT identify and respond to common classroom phrases. 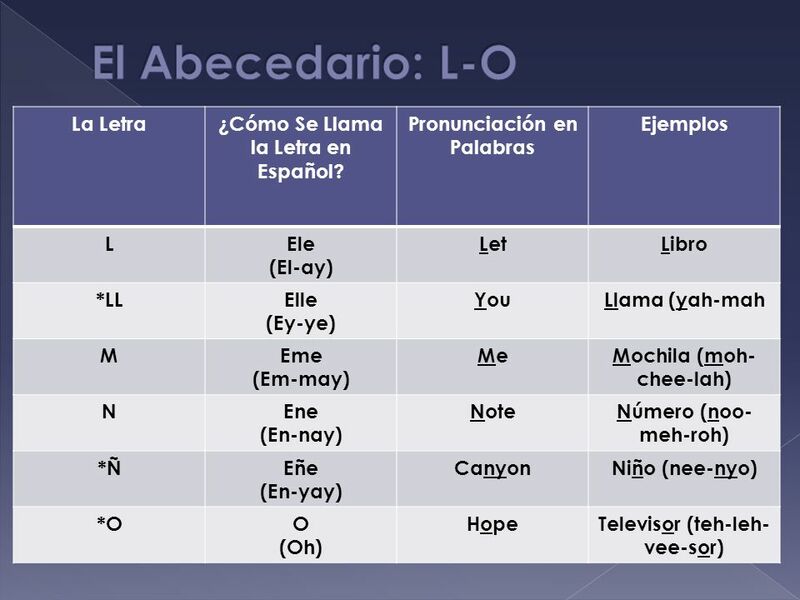 El 14 de Septiembre 2012.